The first day of the Kids Clothes Week Challenge! Thank to Elsie Marley :)) see all details on her blog. 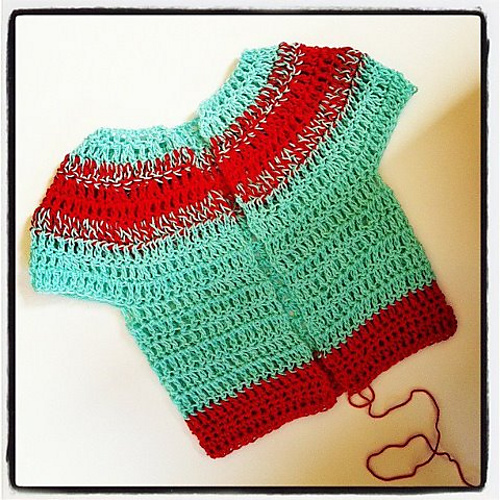 But, I did managed to finished fast and easy cute crochet cardi. Big BOOHOO my Cam is off...:( something is totally wrong with it and I must take it for repair:( It might take some time for me to do so since we have Holidays this week. Anyway, If you'd like to see more of KCWC making, please visit the flickr pool. Love it, can't wait to give the pattern a try. I love making little children's sweaters! 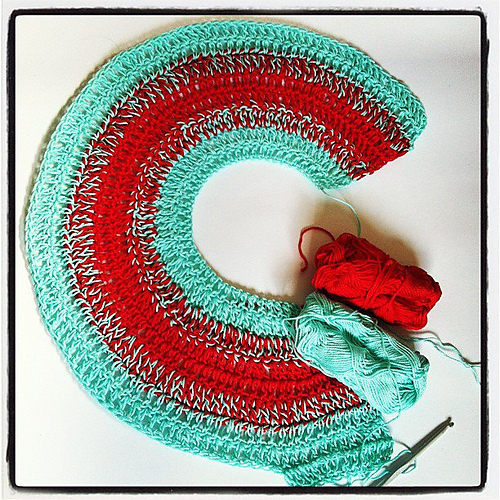 Took a quick look at your blog and I see we both are not only hooked on crochet but love many of the same things. I would love it if you'd take a moment on sunday to join the Craft Schooling Sunday linky party, I need some crafters from Israel! Plus it's good exposure for you, tell your friends too!